3 Beds 2 Baths 966 Sq. ft. Looking for that slice of Florida to call your ''winter'' home or full time home? 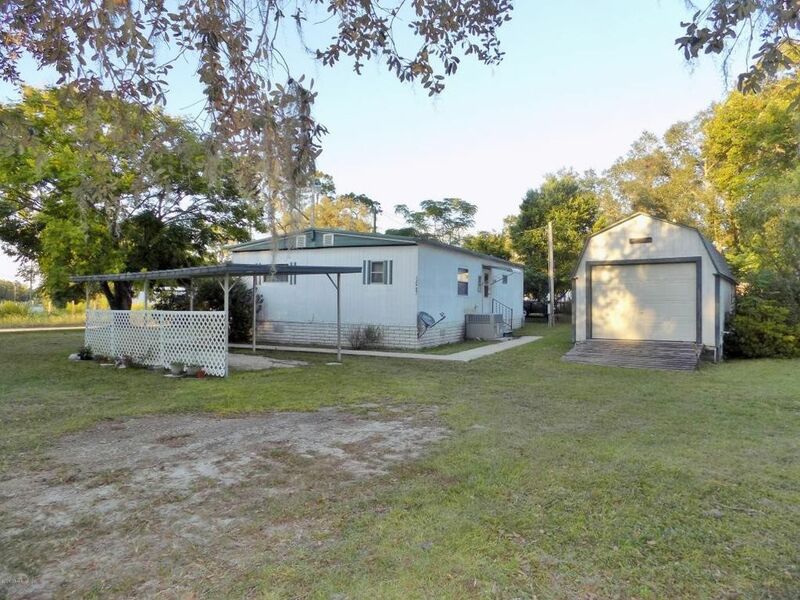 This 3 bedroom manufactured house located in Salt Springs, FL (west of Ormond Beach, north east of Ocala) may be just what you were looking for! Big 98x156 ft lot! Carport, Screened porch and Big 312 sq ft outbuilding! Split bedroom plan! Inside laundry! 2012 central a/c system! Owner has option to join Kershores Club, Inc and have access to small lake for fishing and boating.